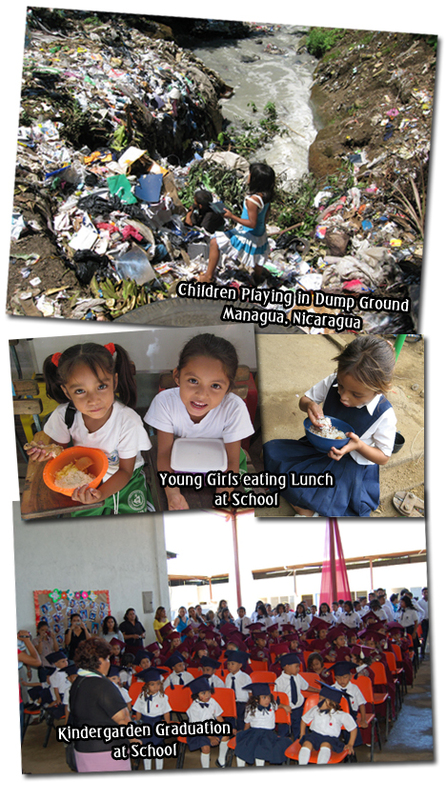 Savior’s Tear began as a vision in 2000 after a visit to Managua’s dump ground (La Chureca). God gave a vision to start a Christian school for children living in and near the dump ground. Most parents and the children work in the dump ground scavenging for food and recyclable material to sell. The majority of children live in extreme poverty, in single-parent homes, and are looked upon more as free labor than children of worth. With the help and blessing of Trinity Fellowship Church in Amarillo, Texas and Comunidad Hosanna in Managua, Oasis de Esperanza (Oasis of Hope) began in 2005 with 80 children (pre-K through 2nd grade) in a three-walled building and dirt floor. Because of prevalent dangers of theft and vandalism, desks, supplies and anything of value had to be removed and secured at the end of each school day. Through God’s blessing the school expanded to two campuses, with almost 400 children (pre-K through 5th grade). Children are provided a free Christian-based education, two nutritious meals each day and health care as needed. The ministry also sponsors a Christian-based adult literacy program for parents and other adults desiring to read and write. Most importantly every person is validated as being “precious in God’s sight” and that Jesus Christ loves them very much, gave His life for them and that through a relationship with Him they have hope and a future.